ID Insight provides verification, authentication, market research, and fraud solutions to financial services companies, credit issuers, retailers, online merchants and telecommunications companies. Its patented analytic technologies are leveraged by forward-thinking companies throughout multiple industries. 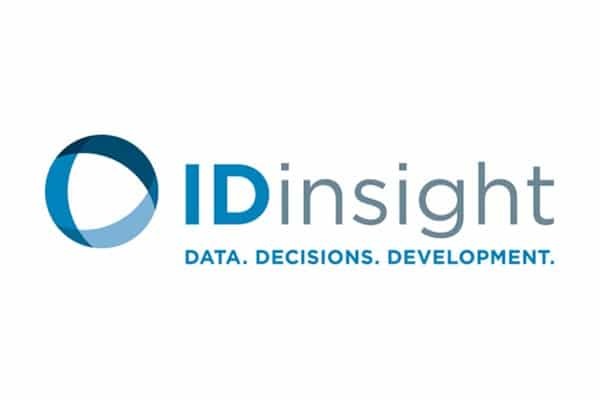 ID Insight leads the industry in developing solutions to counter emerging fraud schemes, instantly detecting fraudulent address, phone number, and email address manipulations by examining billions of identity, geo-demographic and behavioral data points. Data breaches have made consumer identity data available in bulk on the black market, exposing more and more customers to account takeover and leaving organizations open to fraud losses. As criminals continue to find new ways to use stolen personal data to perpetrate financial fraud, ID Insight’s proprietary data sets and award-winning search technologies help organizations identify and prevent the newest forms of identity fraud before they become widespread. Evolving schemes like mobile wallet fraud, synthetic credentials, ecommerce and card-not-present fraud each rely on access-point data found in the customer profile – email, phone number or address – to be effective. ID Insight solutions detect suspicious patterns in customer information changes, so banks can automatically isolate which changes require further scrutiny. We verify and monitor these non-monetary events in the customer profile to identify out-of-pattern behavior that is indicative of identity takeover. By combining identity and verification data, access-point reputation data, and predictive scoring, ID Insight users receive a detailed and instant risk assessment of customer profile changes. Our fraud prevention platform is fast, secure and flexible; patented technology allows for impressive response times with high-grade encryption, and its configurable rules engine means we can dial-in individual client solutions to perform much better than off-the-shelf fraud detection products. Expansive, Actionable Data: Taps into a wide array of data sources including credit bureau headers, utility directories, phone verification databases, known fraud data, postal databases and proprietary recent mover data to form the most comprehensive database with identity related attributes. Predictive Scoring: Uses context-aware analytics and predictive scoring to isolate the majority of fraud in a very small number of cases. Alert Management: Offers access to an Alert Management System, which allows investigators to review high-risk alerts, track cases to resolution, and mine their own data for suspicious patterns and fraud rings. Flexible Delivery: Allows integration into a variety of automated workflows whether real-time, batch, or through a web-browser. ID Insight reduces the risk of identity fraud by helping ensure that the lines of customer communication are not compromised and the contact information authentically belongs to the actual customer. We use big data and predictive analytics to ensure that customer profile information – specifically address, phone, and email changes – are valid, accurate, and safe.